In the first step of the wizard you will need to enter the location of service in the Enter service url field. 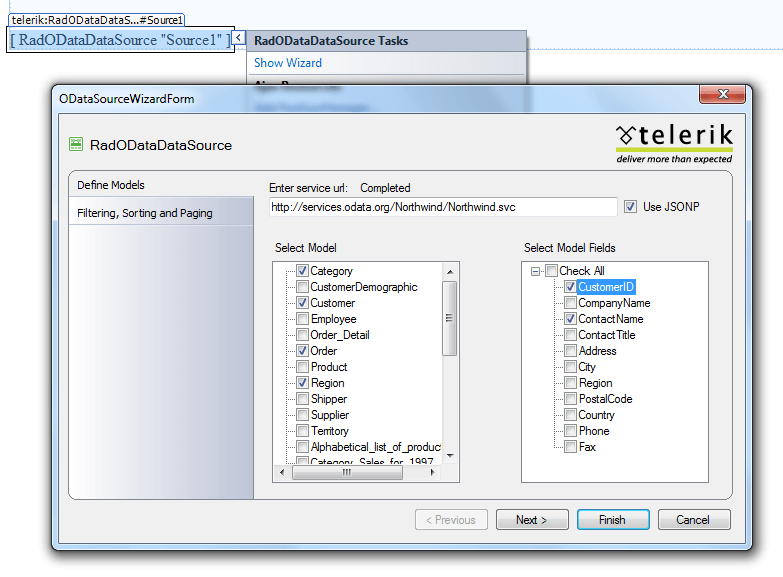 Then you will have the option to select the data fields/properties which will be used in the data model. Next button will be enabled only after at least one property is selected. Sorting - You can easily configure your sorting by using the checkbox. 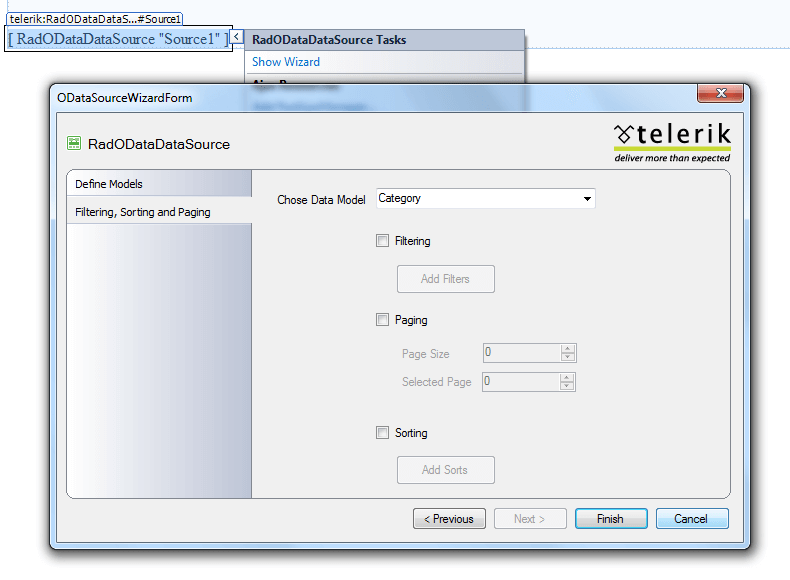 The Add Sorts button opens a SortForm that enables you to further configure your sort expressions. Filtering - Filtering is the same as Sorting, but with different choosers in the FilterForm. Paging – Using the checkbox you can enable/disable paging. You can also set PageSize and CurrentPageIndex using textboxes.